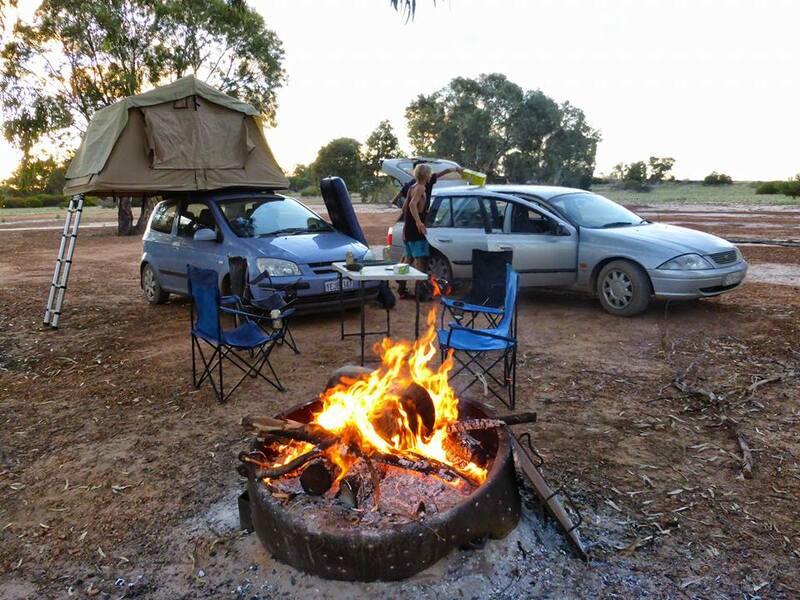 As the embers of the afternoon sun died for another day our party veered off the coastal road linking Kalbarri to Northampton, onto a dusty track surfaced with loose gravel. The scenery changed abruptly from the raw, exposed canyons of the national park to rolling fields perfect for grazing livestock and nurturing crops. The coastal holiday homes making way for lonely isolated farmsteads built by independent pioneers. Unbeknown to us we had crossed yet another border to a land within a land, Western Australia’s best kept secret. The Principality of Hutt River. 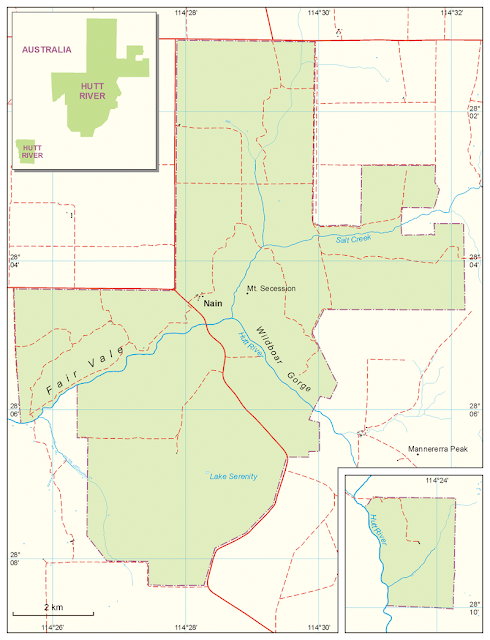 This little known princedom occupies an area of 75 square kilometres and is home to a population of 23 (although it claims to have a worldwide citizen population of 14,000). As we pulled up to the main post office, chamber of commerce, immigration office and who knows what else we were greeted by the son of ruler Crown Prince Graeme who due to his day to day job as a local school teacher has been awarded various roles in his father’s principality such as Chancellor of Education & Advanced Research. Prince Graeme kindly informed us that the elderly Prince Leonard was not available this late in the day but would be hosting a tour the following morning. 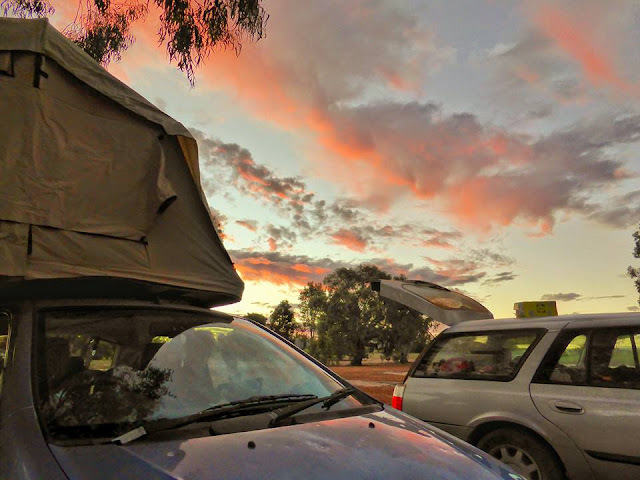 We paid AU$5 to stay in the grounds camping area which was very cheap considering the great shower facilities and numerous fire pits close to mountains of dead timber. We weren't the only foreign visitors to the principality, in fact the place seemed more popular amongst tourist than Australians. Perhaps it’s due to the regions isolated location and lack of publicity or maybe Australians are a little embarrassed that part of their territory has been claimed so brilliantly by one educated, determined individual keen to protect the livelihood of his family, who knows. We had plenty of time to ponder such theories whilst sharing beer and goon with some new Brit friends as we waited patiently for Dustin and Baastian to boil some pasta on the camping stoves (apparently you can’t rush perfection, especially on a stove that takes a day to boil a cup of water). The guided tour kicked off at around 9am and it was totally worth waiting the night. Prince Leonard was stood behind the counter of the countries only post office. After a personal welcome to the Hutt River Principality he ran through a well-rehearsed routine detailing the events leading up to the foundation of his princedom. Sharing anecdotes of struggle, relief, victory and humour from beating a flawed system. It was clear that this short, unassuming gentleman who is now in the winter months of his life has much to be proud of and to reflect on. 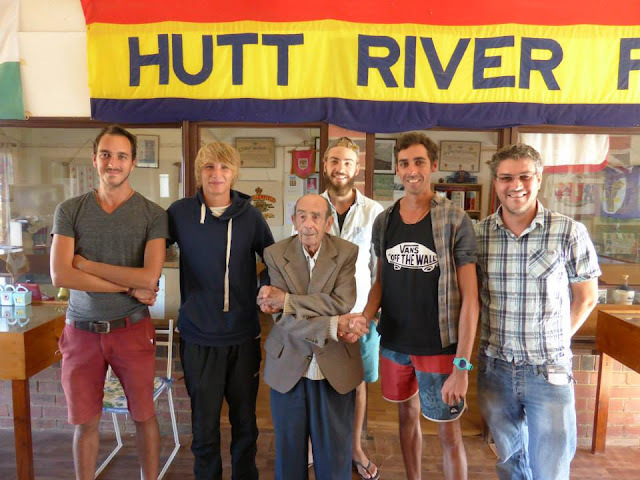 In many ways the birth of Hutt River makes total sense. The local government was attempting to limit the amount of wheat produced on individual farm owners. Casley’s land had the potential to grow 4,000 hectares worth of the crop but the legislation was going to limit them to selling 40 hectares. 1% of what he could grow before. Any idiot could see from the figures that the proposed quota was a joke to people who depended on maximising outputs. Over many years Leonard along with his wife and friends fought the system and due to the Prince’s canny knowledge of local and international law he managed to outfox the opposition. Many see him as a passionate and eccentric person and I suppose you have to be to win such a David & Goliath tussle against Australian Government. But it certainly makes an intriguing story worthy of the movie screen. In fact I think there is an old film starring Peter Sellers called “The mouse that roared” which follows a similar plot. Like the man the tour was a short and sweet. At the age of 90 he is sharp as a pin and unafraid to joke with visitors. “Feel free to write your compliments of the tour in the book on the desk in front of you”. He quipped to an English woman. “And feel free to leave you mobile number as well if you like” to which everyone burst into laughter. With local currency & stamps designed by one of Leonard’s daughters, flags, books, photo’s and postcards there are many great souvenirs on offer but the best thing about visiting is the compulsory visa (really it’s a day ticket) and passport stamp in and out of the province. A timeless keepsake and another blank space filled in our now bulging passports. That’s certainly more generous than the country that envelopes the Hutt River. They don’t even stamp the bloody thing any more. With the morning well under way we set out south following the gravel roads of the Hutt River region back to the welcome tarmac of Kalbarri Road with Northampton in our sights. We stopped briefly at the tiny seaside village of Port Gregory for another photo opportunity at Hutt Lagoon. The lake is more commonly known as Pink Lake due to its unusual hue created by bacteria trapped within the waters salt crystals. It is yet another incredible natural wonder in WA. At around midday we stopped for lunch at the symbolic finish line of our overland travels in the “historic” (out here that means its more than 50 years old) mining town of Northampton. Established in 1863 the town was built on the regions lead deposits. There are a few old buildings including the church but otherwise there is not that much to do. But it wasn't the lack of sights that brought us here it was the fact that this isolated town in Western Australia’s mid-west was the finish line of our self-set objective. A final tally of 18819 miles through 27 countries and 1 unrecognised principality all without a single plane. It has been an incredible year of mostly highs and some lows. 372 days of amazing places, landscapes, cultures but most crucially people. Standing in front of the welcome sign of Northampton neither of us could really appreciate what we have achieved and even a few months after that day it only just beginning to sink in. We are certainly not the same guys that left our home town of the same name on 5th June 2014.